Dorothy Day is one of the greatest and most significant Catholics of the twentieth century. Today is the 30th anniversary of her death. When I left school I worked for six months in a small religious book publishers, and I was asked to do some research in order to revise a pamphlet they wanted to print about Dorothy Day and the Catholic Worker Movement. I spent a couple of days in one of the London libraries reading some of the early biographies, and I was completely bowled over. It was the simplicity of her love – for Christ, for the poor, for whoever was sitting next to her. It was the fact that she took the gospel seriously, and literally; and believed it was something to be lived and not just explained away. It was her intelligence, which made her think about the causes of poverty and injustice, so that talking, writing, publishing and debating (all for ‘the clarification of thought’) were as much a part of her mission as opening soup kitchens and houses of hospitality. And it was her beauty – the beauty of her writing, the beauty of her life. Much of it, I’m sure, was romanticised – I was 19 and looking for heroes and heroines. But she remains one of the most important people in my life, and her life has shaped my own thinking and the way I look at the world as much as anyone else’s has. I went on holiday/pilgrimage to New York in the summer of 1998 just after my ordination. I had supper and celebrated Mass in the main Catholic Worker house where she lived and worked, and had some great conversations – she was still remembered and revered. I hunted down the building where the first house of hospitality was set up. By then it was a Chinese takeaway, so I went in and pretended to look at the menu while I took in the atmosphere and the history. I took the boat to Staten Island and found the spot where she is buried. It’s one of these cemeteries without upright headstones, so the lawnmower can sweep right over the graves. You ask a man in the office and he tells you where the small plaque is hidden. I spent a long time there praying. I still pray to her often. And one of my prayers is that I will live to see her canonised. If you don’t know much about her, here are some paragraphs from a short life by Robert Ellsberg. 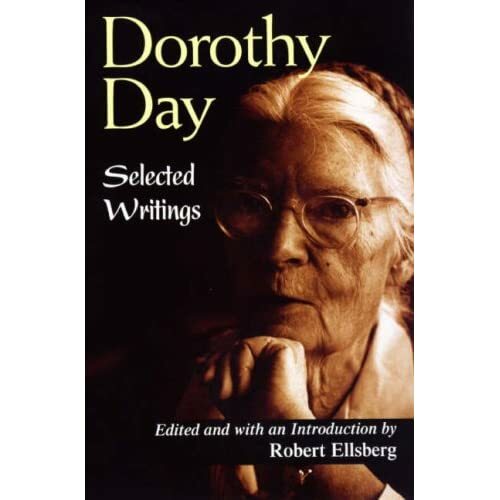 If you want to follow this up, the best book to buy is Dorothy Day, Selected Writings, edited by Robert Ellsberg, which is a fantastic collection of short pieces and excerpts from her longer articles and books. The introduction is itself one of the best short biographies you will find. The Catholic Worker, a lay movement she founded in 1933 and oversaw for nearly fifty years, was an effort to show that the radical gospel commandment of love could be lived. She understood this challenge not just in the personal form of charity (the works of mercy) but in a political form as well, confronting and resisting the social forces which gave rise to such a need for charity. She represented a new type of political holiness – a way of serving Christ not only through prayer and sacrifice but through solidarity with the poor and in struggle along the path of justice and peace. A turning point in her life came in 1926 when she was living on Staten Island with a man she deeply loved. She became pregnant, an event that sparked a mysterious conversion. The experience of what she called natural happiness, combined with a sense of the aimlessness of her Bohemian existence, turned her heart to God. She decided she would have her child baptized as a Roman Catholic, a step she herself followed in 1927. The immediate impact of this was the painful end of her common law marriage. The man she loved had no use for marriage. But she also suffered from the sense that her conversion represented a betrayal of the cause of the poor. The church, though in many ways the home of the poor, seemed otherwise to identify with the status quo. So she spent some lonely years in the wilderness, raising her child alone, while praying for some way of reconciling her faith and her commitment to social justice. The answer came in 1932 with a providential meeting. Peter Maurin, an itinerant philosopher and agitator, encouraged her to begin a newspaper that would offer solidarity with the workers and a critique of the social system from the radical perspective of the Gospels. The Catholic Worker was launched on May 1, 1933. Like a true prophet, Maurin was concerned not simply to denounce injustice but to announce a new social order, based on the recognition of Christ in one’s neighbors. In an effort to practice what they preached, Day converted the office of the Catholic Worker into a “house of hospitality” – the first of many – offering food for the hungry and shelter for the tired masses uprooted by the Depression. But Day’s message did not end with the works of mercy. For her the logic of the Sermon on the Mount also led to an uncompromising commitment to nonviolence. Despite widespread criticism she maintained a pacifist position throughout World War 11 and later took part in numerous civil disobedience campaigns against the spirit of the Cold War and the peril of nuclear war. Later, in the 1960s, when social protest became almost commonplace, Day’s peacemaking witness – rooted in her daily life among the poor and sustained by the discipline of liturgy and prayer – retained a particular credibility and challenge. 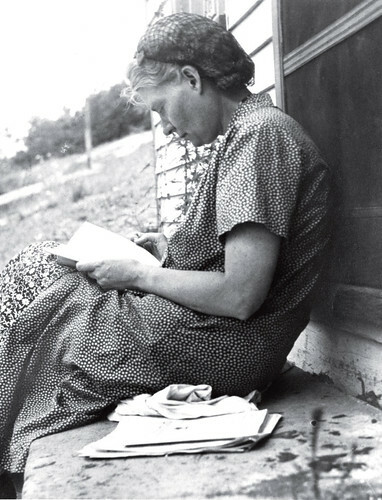 The enigma of Dorothy Day was her ability to reconcile her radical social positions (she called herself an anarchist as well as a pacifist) with a traditional and even conservative piety. Her commitment to poverty, obedience, and chastity was as firm as any nun’s. But she remained thoroughly immersed in the secular world with all the “precarity” and disorder that came with life among the poor. You can find a link to the London Catholic Worker here. There is a bit of a backlash against David Cameron’s desire to measure the nation’s happiness. Not that you can’t measure some of the things that often make us happy, or some of the signs that indicate we have reached a certain level of happiness. Just that the contemporary obsession with seeking happiness might actually be making us more unhappy! Tim Lott wrote about this in the Times yesterday (2:4-5; paywall). In this country we seem to take our cue from the American Constitution and believe in the ‘pursuit of happiness’ as an inalienable right. In this formulation of human fulfilment, happiness is like an elusive animal that has to be tracked down mercilessly, until we finally capture, then cage it. This world view is misconceived. In his recent book, Against Happiness: In Praise of Melancholy, the writer Edward G. Wilson called America ‘a land of crazed and compulsive hopefulness’ and deplored the idea that unhappiness had become something to be ashamed of. Much the same argument was put forward in Barbara Ehrenreich’s counterblast against the ‘positive thinking’ culture, Smile or Die, in which she complained that during her experience of breast cancer it was distressing constantly to be told that she had to ‘stay positive’. Both Ehrenreich and Wilson are correct – the pursuit of happiness, as we currently imagine it, is counterproductive. The thing about happiness is, the more you seek it, the more it eludes you. As the novelist C. P. Snow wrote, ‘The pursuit of happiness is a most ridiculous phrase; if you pursue happiness you’ll never find it.’ But we continue as if we took the fairytales literally, hoping to find a way of living ‘happily ever after’. We can’t; and neither should we want to. Because there’s no such thing as happiness – at least as it is confected by marketers and advertisers. There is a whole commercial world, quite apart from that other imaginary world of fairytales, that is invested in telling us not only that something called happiness is achievable, but that you are a failure if you don’t have it. This flies in the face of every fact of human nature. It is the most normal, natural and everyday occurrence in life to feel unhappy. The rejections, slights, embarrassments, petty failures, snubs, stresses and disappointments of life are simply not avoidable… Unhappiness is not some dreaded malignancy to be avoided at all costs, but a proper and inevitable part of the warp and weft of life. …that the pursuit of happiness is actually what leads to unhappiness. Rather than spending our lives indulging in this hopeless quest, we should seek acceptance of what is humanly inevitable – the alteration of happiness and unhappiness. Recognition of this unpredictable process has the great virtue of avoiding an extra layer of unhappiness, that is, the disappointment of unrealistic hopes. So we have normal happiness, and normal unhappiness, without the extra level of unhappiness that comes from being unhappy that we are unhappy. Easy! Most of us treat failure as something to be avoided. We do all we can to succeed in whatever we have started, and to avoid getting involved in any projects that might expose us to failure. One of my bedside books at the moment is The Little Big Things: 163 Ways to Pursue Excellence by Tom Peters. He presents a Theory of Failure in chapter 19 which is a real challenge to people of a more cautious nature like myself. Here is my summary: To succeed in any area, you have to try a lot of stuff – quickly. If you try lots of stuff in a hurry, you will make lots of mistakes – always. Hence, making mistakes often is a very good sign of progress; perhaps the only sure sign. So moving forward is not about just tolerating mistakes, it’s about being open to them, learning from them, maximising them, celebrating them, even encouraging them. Maybe this is all a bit too ‘Management-Guru-Self-Help-Book’ for you – but I found it very thought-provoking! There is a boom in documentary film-making. It’s not just because of the availability of cheap technology. It’s connected with a new way of seeking truth. Hussain Currimbhoy is curator of the Sheffield Doc/Fest, Britain’s premier showcase for new documentaries from around the world. He speaks to Sean O’Hagan. There is definitely a new energy out there. We are living in a moment when film-makers, and young film-makers in particular, are increasingly turning towards documentary as a way to make sense of the world they live in. They are more alert about, and suspicious of, the mainstream media and eager for a form that talks to them about real events in a real way, even if that form is often rough or even low-key. It’s a very exciting and ground-breaking time for the documentary. British director Lucy Walker shares the enthusiasm. I really do think we are living in a golden age of documentary film-making. There is a frustration with traditional media and a hunger for documentaries that have the stamp of integrity. The week it opened, my film [Waste Land] was number one at the box office in terms of what they call ‘per-screen average attendance’. Of all the movies playing in America, a Portuguese-language documentary about the lives of people living on a garbage dump in South America had the highest per-screen average across America. That tells me that people are looking for bigger truths about the way we live now, truths they are not getting from Hollywood or the traditional media. There is a sense that the grand narratives are gone and that people are now living in an age of uncertainty, and documentary increasingly reflects that. Traditionally, documentaries were part of a progressive tradition, a progressive machine. They provoked us or inspired us to do something. I would contend that, when politicians turned into managers, that system did not work any more and even big budget, well-meaning, measured documentaries, like Al Gore’s An Inconvenient Truth, leave us perplexed and helpless rather than angry and politically energised. At the other extreme, you have films like Catfish that noodle about with the intimacy of feelings. Here, people know the grammar of feelings, they know how to act on camera and how to emote formally, while real feelings, which are of course messy and complicated, are hidden. O’Hagan finishes the article by quoting director Kevin MacDonald. To this end, MacDonald is currently working on the first feature-length documentary made entirely of user-generated content shot in a single day and then uploaded on to YouTube. Called Life In A Day, the impressionistic film is currently being edited down by MacDonald from 5,000 hours of footage from 190 countries. It will premiere as a three-hour documentary at next year’s Sundance festival. That is perhaps the reason why its boundaries are currently being stretched – to keep up with the increasing unreality of the real world. I’m dying to see this Life in a Day. The idea reminds me of what was perhaps the best ‘exhibit’ at the Millennium Dome – a huge collage of photographs of ordinary life in Britain, pieced together to make it look like one single image, hung around the curving walls of one of the main rooms. I haven’t seen any reproductions of it since. Do let me know if you can remember what it was called or whether it still hangs somewhere. What’s the place of religion on the internet, and the significance of the internet for religion? Pope Benedict comes back to these themes in his latest document Verbum Domini about the Word of God in the life and mission of the Church. He encourages Catholics to make serious efforts to be more present in the world of the mass media. But he also warns that virtual relationships will only become meaningful if they are a means to some kind of personal contact between those using them. Here are the relevant paragraphs. Linked to the relationship between the word of God and culture is the need for a careful and intelligent use of the communications media, both old and new. The Synod Fathers called for a proper knowledge of these media; they noted their rapid development and different levels of interaction, and asked for greater efforts to be made in gaining expertise in the various sectors involved, particularly in the new media, such as the internet. The Church already has a significant presence in the world of mass communications, and her magisterium has frequently intervened on the subject, beginning with the Second Vatican Council. Discovering new methods of transmitting the Gospel message is part of the continuing evangelizing outreach of those who believe. Communications today take place through a worldwide network, and thus give new meaning to Christ’s words: “What I tell you in the dark, utter in the light; and what you hear whispered, proclaim upon the housetops” (Mt 10:27). God’s word should resound not only in the print media, but in other forms of communication as well. For this reason, together with the Synod Fathers, I express gratitude to those Catholics who are making serious efforts to promote a significant presence in the world of the media, and I ask for an ever wider and more qualified commitment in this regard. Among the new forms of mass communication, nowadays we need to recognize the increased role of the internet, which represents a new forum for making the Gospel heard. 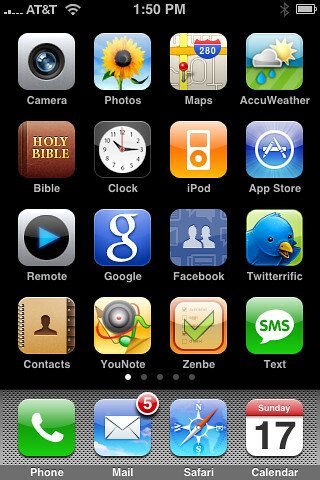 Yet we also need to be aware that the virtual world will never be able to replace the real world, and that evangelization will be able to make use of the virtual world offered by the new media in order to create meaningful relationships only if it is able to offer the personal contact which remains indispensable. In the world of the internet, which enables billions of images to appear on millions of screens throughout the world, the face of Christ needs to be seen and his voice heard, for “if there is no room for Christ, there is no room for man”. What is the meaning of happiness? The English word comes from the Old Norse ‘happ’, which meant good luck or good fortune. It’s connected with the words ‘haphazard’ (random, chance), and ‘hapless’ (unlucky). And my favourite dictionary, Chambers, says that ‘hap’ is still a noun in circulation, meaning chance, fortune, or accident – although I can’t remember ever having heard this used in ordinary conversation. The character is pronounced fu and is found in the dictionaries as 福. The form here is a “grass” character, an artistic rendering that flows like the grasses. Its original meaning, as I was taught by Dr. Derk Bodde at the University of Pennsylvania, was “salary,” for that provided the ancient Chinese with a firm sense of prosperity. Today it simply means “good fortune” or “happiness,” and is found often in Chinese restaurants. . . Even then, it was “all about the economy”!? It’s easy to sniff or chuckle at this crude link between salary/prosperity and happiness in Chinese culture. But as you can see from the etymology of our own English word, the link between profound existential notions of happiness and material good fortune is pretty universal. Let me look at two Greek words. One of them is a word used in ancient Greek philosophy: eudaimonia. The simplest way of translating this is ‘happiness’. But it’s something much richer, and there are always fights amongst the scholars about how to translate this word. Perhaps the best extended definition is ‘all-round human fulfilment’. It’s about living well, living a life that is all that it could be. A rich life; a fulfilled life. In fact one of the best equivalents, which sounds a bit old-fashioned today, is the phrase ‘flourishing’. I’ve got a friend, and whenever I used to say to her ‘how are you’, she would reply ‘flourishing!’ It sounds a bit quaint now, but it has a beautiful meaning. It means everything we have been describing: A good life, a rich life, a fulfilled life, a life that has grown into what it could be. This is eudaimonia in Greek philosophy. Another Greek word is well known from the Scriptures, from the Beatitudes of Jesus, in the Sermon on the Mount. ‘Blessed are the poor in spirit… Blessed are those who mourn…’ That word ‘blessed’ is makarios in Greek. This is another word that has caused great arguments amongst scholars and translators. If you read the Jerusalem Bible, or the New Jerusalem Bible, you will hear the word ‘happy’. And this is the version Catholics hear in the readings at Mass on Sundays. ‘Happy are the poor in spirit’. If you go back to other Greek texts of the same period, the literal meaning of makarios is ‘fortunate’. It’s not a particularly religious word; it’s an ordinary secular word. Perhaps the best common translation today would be the word ‘lucky’. You are ‘lucky, fortunate’ if you are poor in spirit. So you can see the tensions when you have to make a choice about a translation. You can use the word ‘blessed’, which is very rich; but it’s a bit too religious. Because ‘blessed’ is a religious word in contemporary English, which is not actually the original Greek meaning. But if you say ‘happy’ — in the modern idiom this sounds a bit too superficial. And really, in both a religious and secular sense, we are trying to point to a life that is all that it could be — happy, fortunate, rich, blessed, fulfilled, flourishing. I’m going to use the word ‘happiness’ to mean all these things. Happiness in a large sense. The idea of happiness gives us a good starting point when we are trying to discuss human life, and human actions, and then morality. Because even if we are confused by the idea of rules, of right and wrong, or doubtful, it’s still true that most of us, even those with no faith, would be able to agree that as human beings we are seeking something in life, seeking some kind of happiness and fulfilment. Even if we disagree with each other and with friends and neighbours about exactly how to find it, we at least have a starting point: Here we are as human beings, seeking something, seeking some kind of fulfilment and meaning. The UK government wants to monitor our general levels of happiness and subjective wellbeing. It will be up to Matheson to choose the questions but the government’s aim is for respondents to be regularly polled on their subjective wellbeing, which includes a gauge of happiness, and also a more objective sense of how well they are achieving their “life goals”. As centuries of philosophical debate have shown, happiness is neither simple nor uncontroversial – and certainly not easy to measure. In the western philosophical tradition, reflections on what the best kind of life might be have almost always acknowledged that happiness is something we all desire. 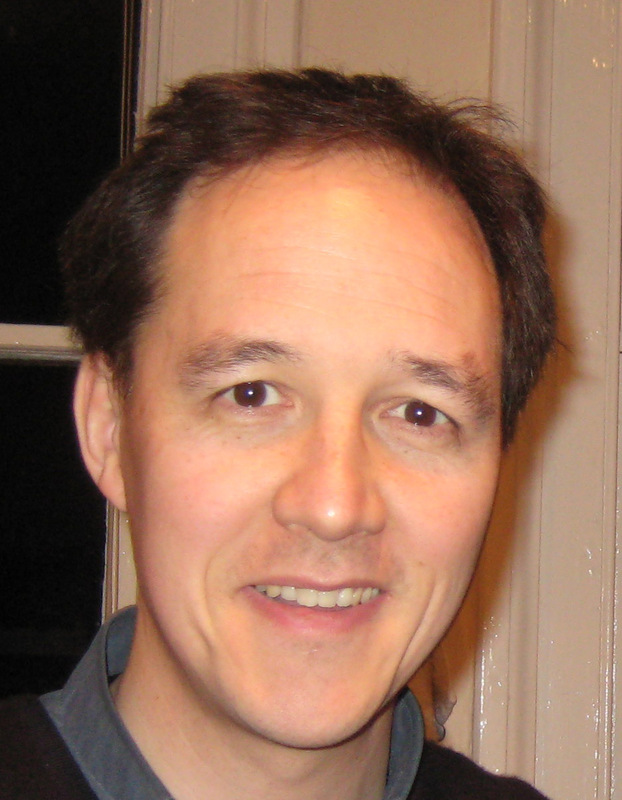 Philosophers often regard human happiness as an important criterion for deciding what is good and right, and sometimes as the main criterion. The most straightforward expression of this last view is found in the “utilitarian” moral theory pioneered in England in the 19th century by Jeremy Bentham and John Stuart Mill. According to utilitarians, the moral value of any action is measured according to the amount of happiness that results from it. Even for these thinkers, though, questions of happiness are not simply about how much of it there is. Mill certainly recognised different qualities of happiness: he thought that the pleasures of listening to opera or reading Milton, for example, were “higher” than the kind of enjoyment found in a good meal. Indeed, he famously qualified his utilitarianism by insisting that “it is better to be a Socrates dissatisified than a pig satisfied”. The thought here seems to be that part of the moral value of human life – what we might called its dignity – lies in the capacity to be affected by a great range and depth of experience. And this includes our capacity to suffer. Critics of the kind of moral theory advocated by Bentham and Mill often talk about the practical difficulties of measuring happiness, which might give the coalition pause for thought. In fact, some of these difficulties were pointed out long before the rise of utilitarianism. Aristotle, for example, thought that the goal of every human life is “eudamonia“, a deep conception of happiness as long-term flourishing, rather than fleeting pleasure. This would be difficult, if not impossible, to record with questions such as “how happy did you feel yesterday?”. Aristotle also recognised that, unlike some other branches of philosophical enquiry, ethics is not an exact science. In the 18th century,Immanuel Kant made this point even more strongly: of course we all desire happiness, said Kant, but we do not know what it is or how it will be achieved. Anyone who has pursued something in the hope that it will make her or him happy – whether this be a career path, a relationship, or a holiday – only to find it disappointing, and even a source of stress and anxiety, will know what Kant was talking about. However, the government’s plan to measure happiness raises a further and perhaps more profound philosophical question: regardless of whether this is possible in practice, is it the best way of thinking, even in principle, about what it is to live a good human life? A clue to this idea can be found in the way a term like “utilitarian” is sometimes used disparagingly. When, for example, a course of action is described as “merely utilitarian”, this implies that something important has been overlooked. But what might this be? Good question. I think that’s enough for one post, but you can read the full article if you want to continue into Heidegger’s answer!